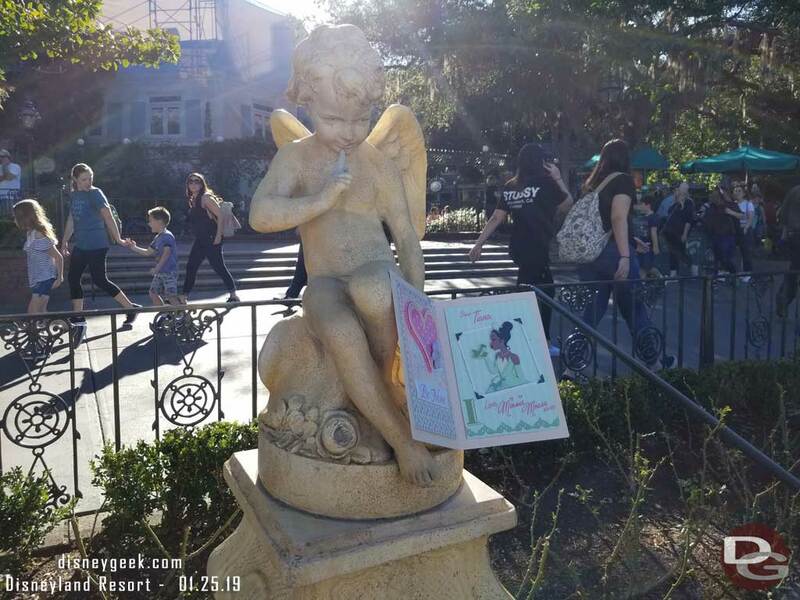 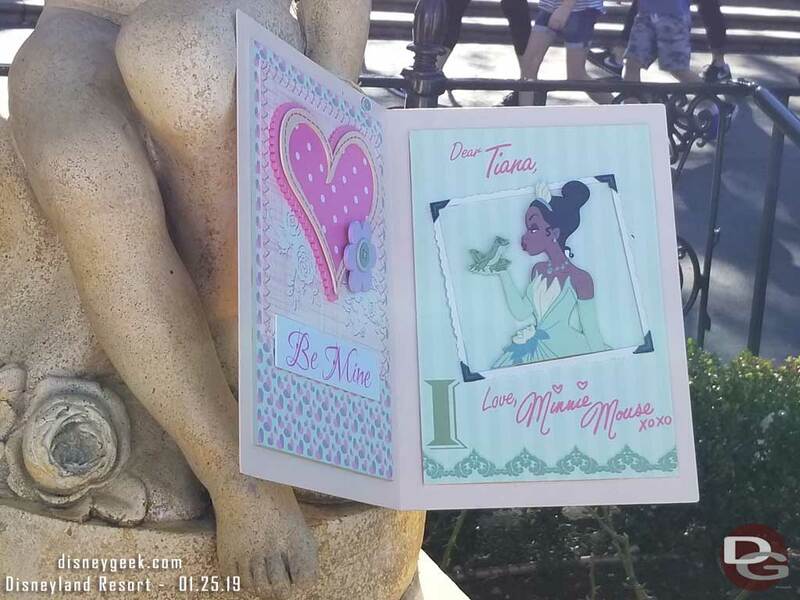 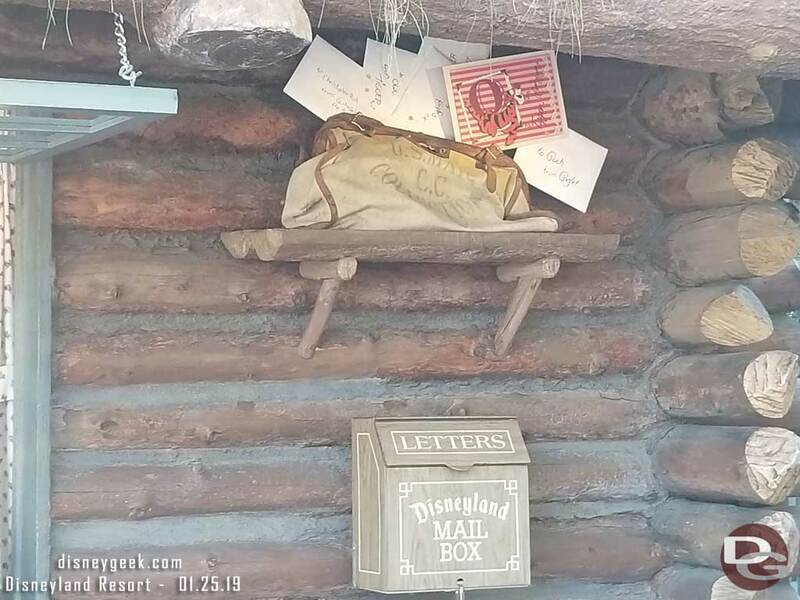 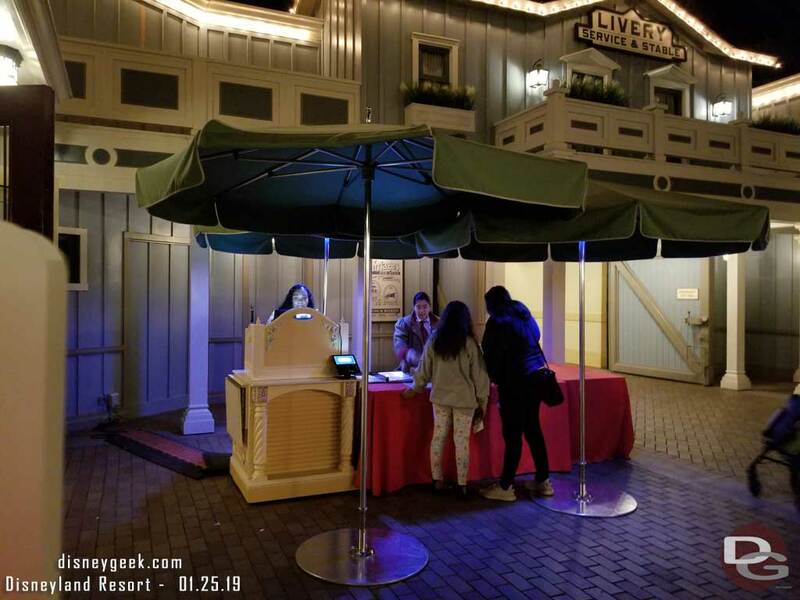 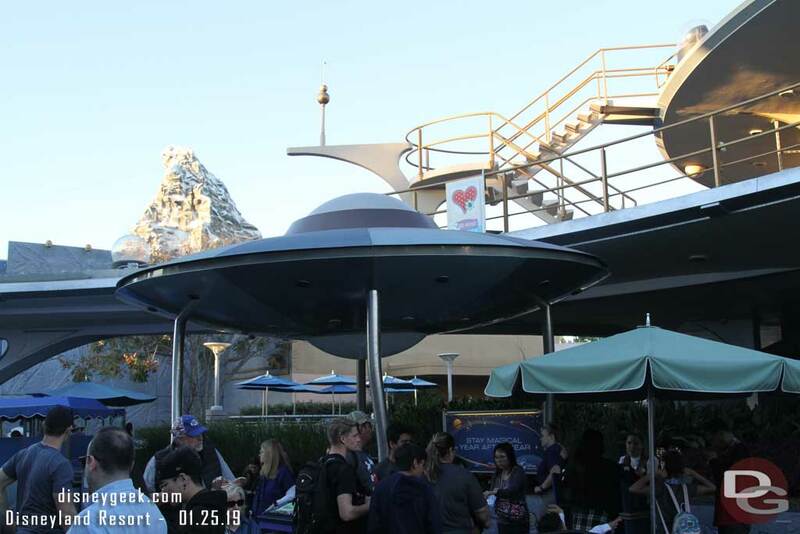 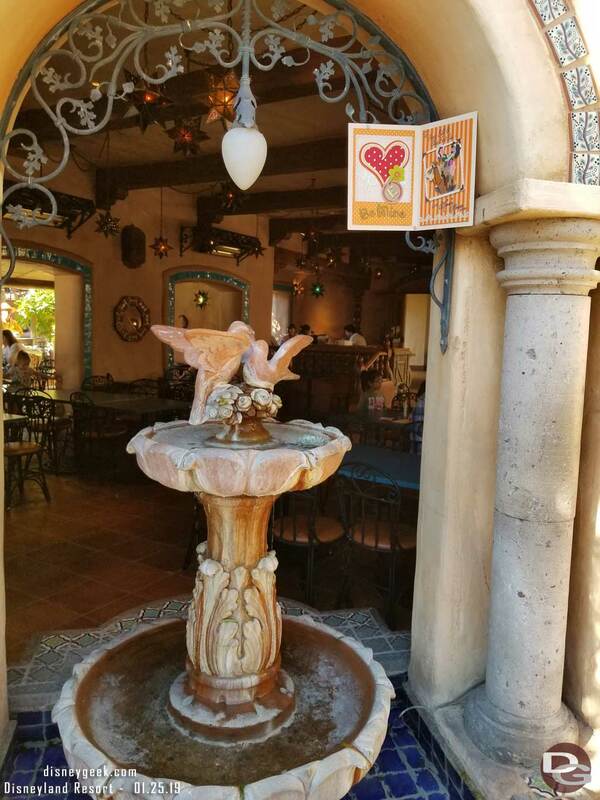 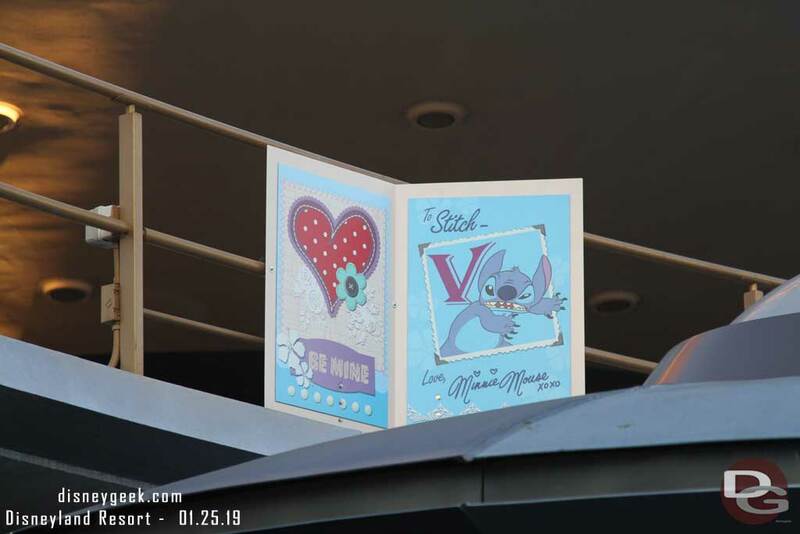 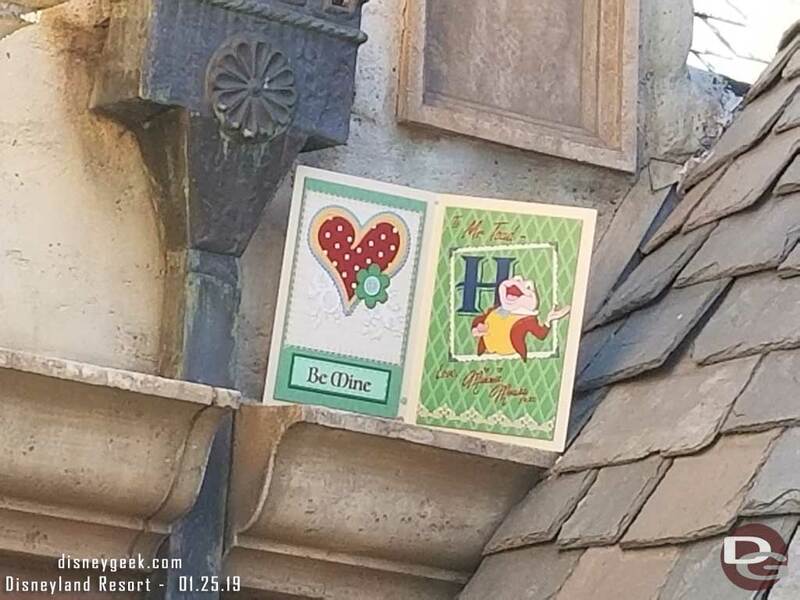 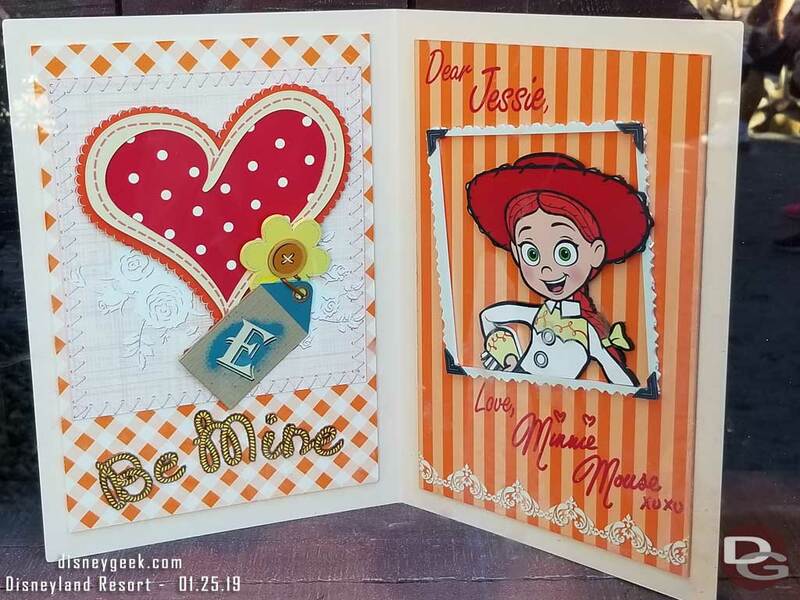 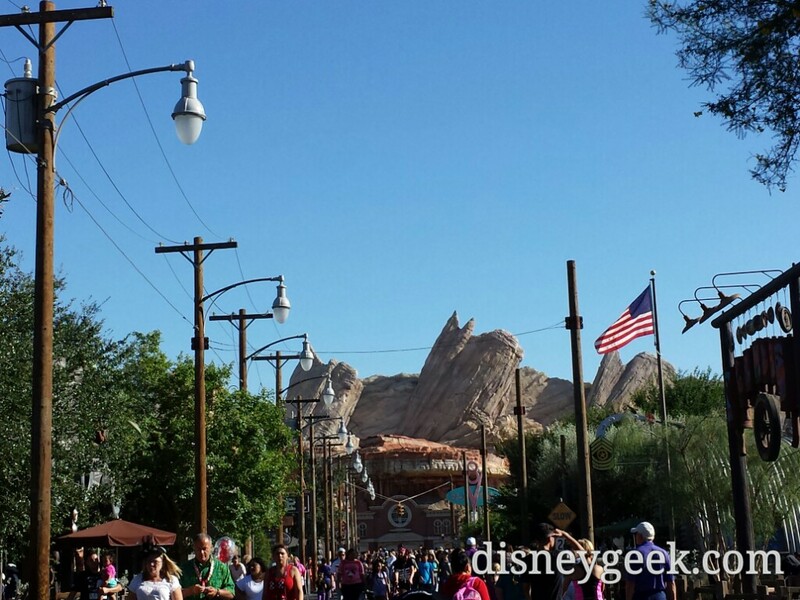 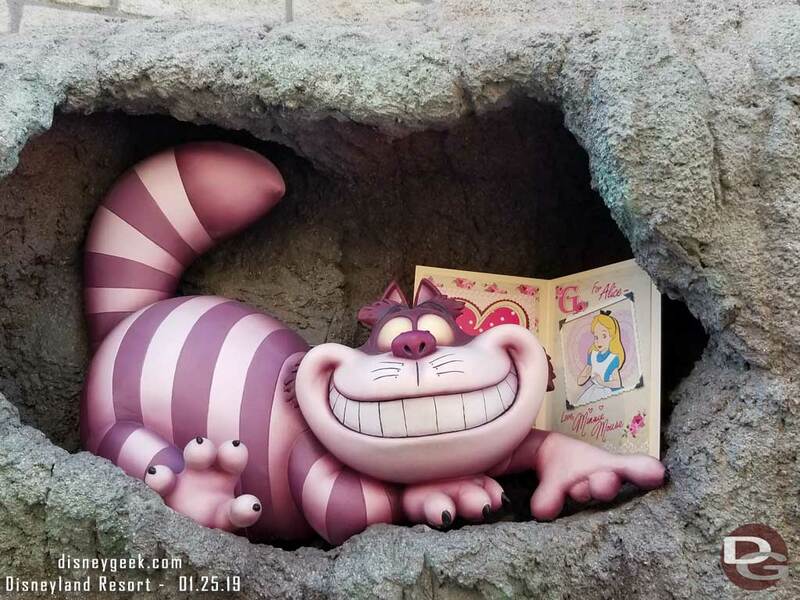 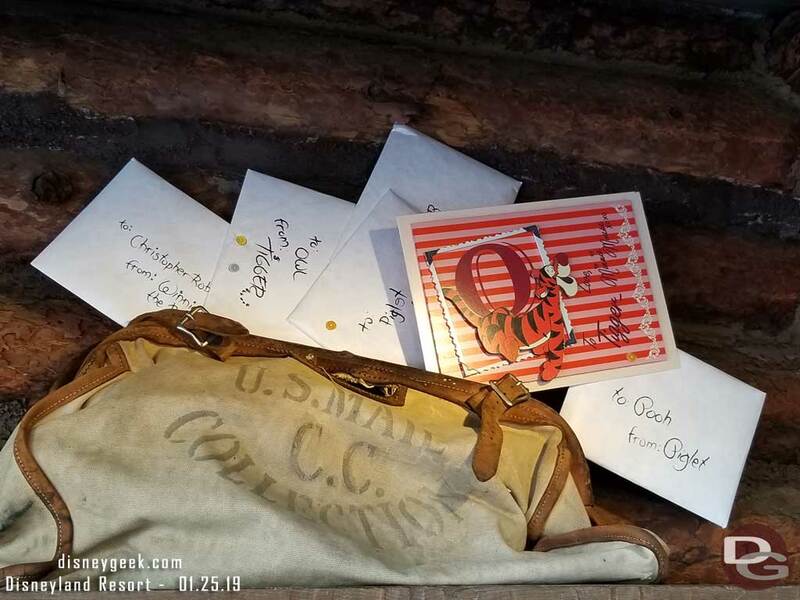 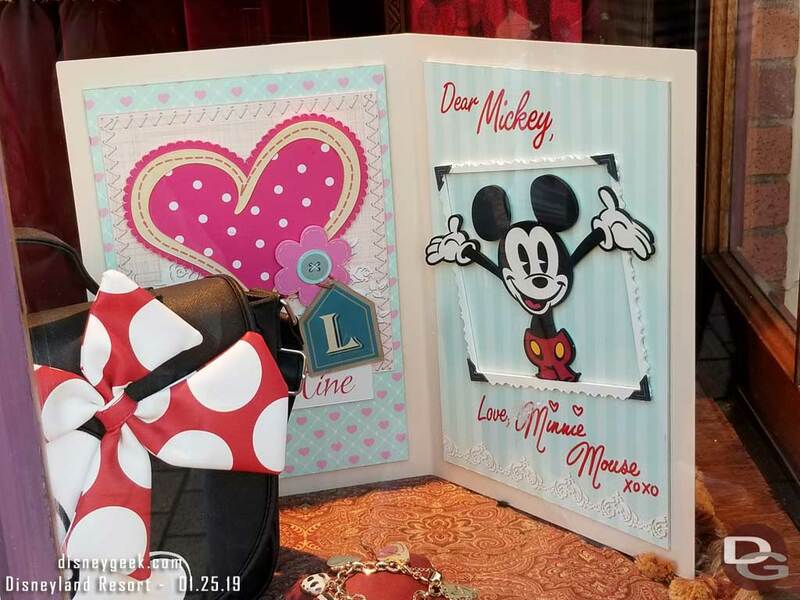 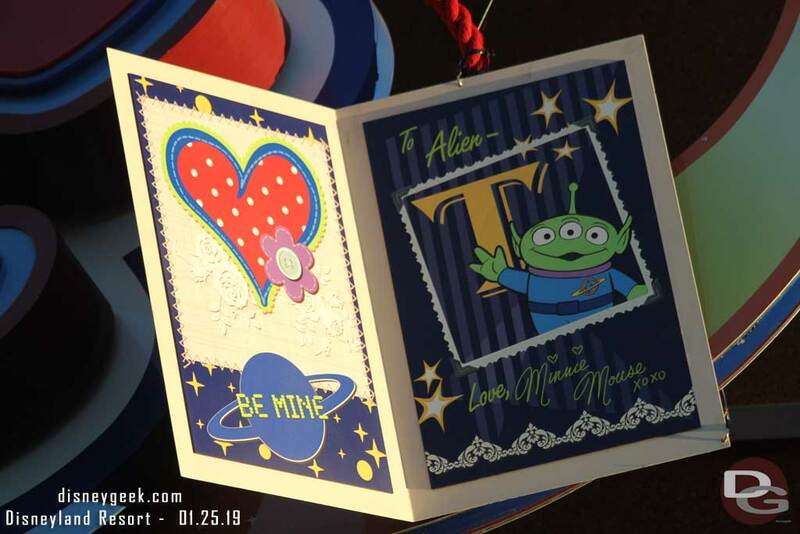 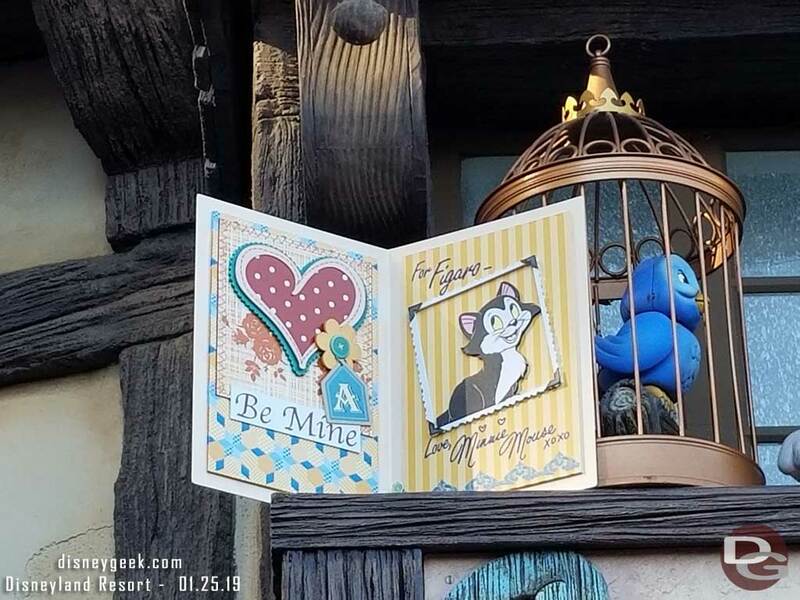 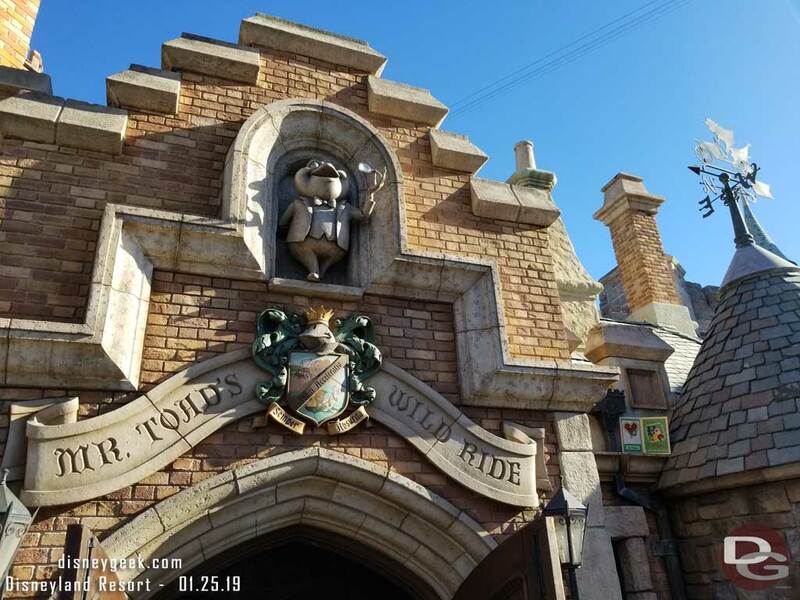 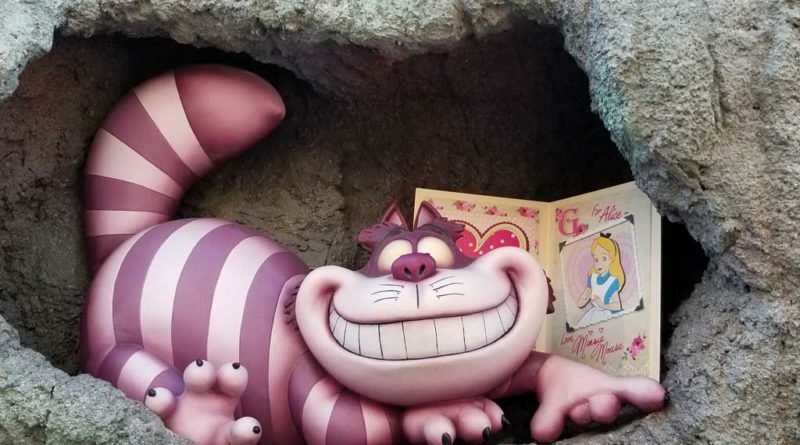 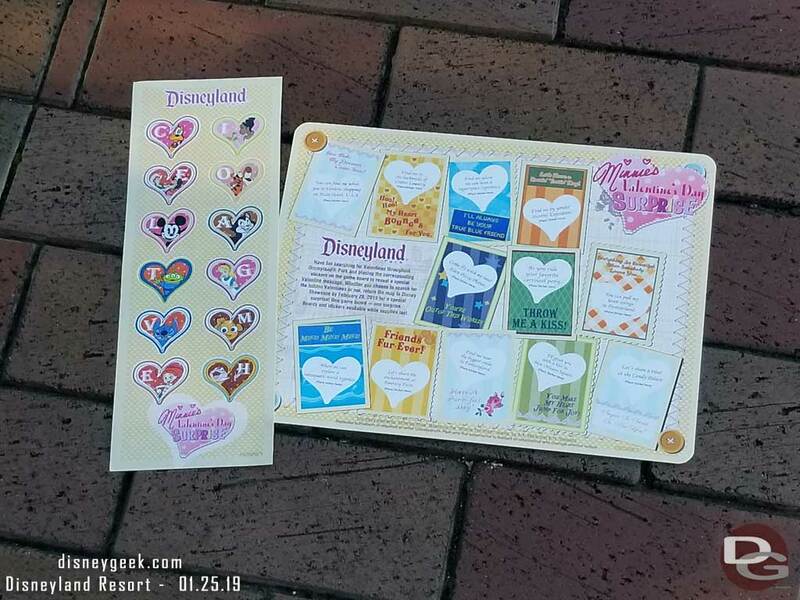 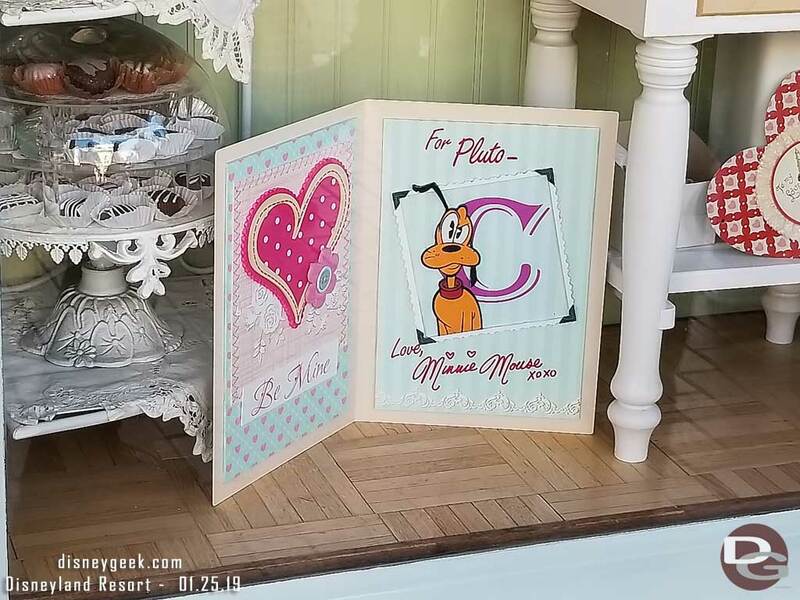 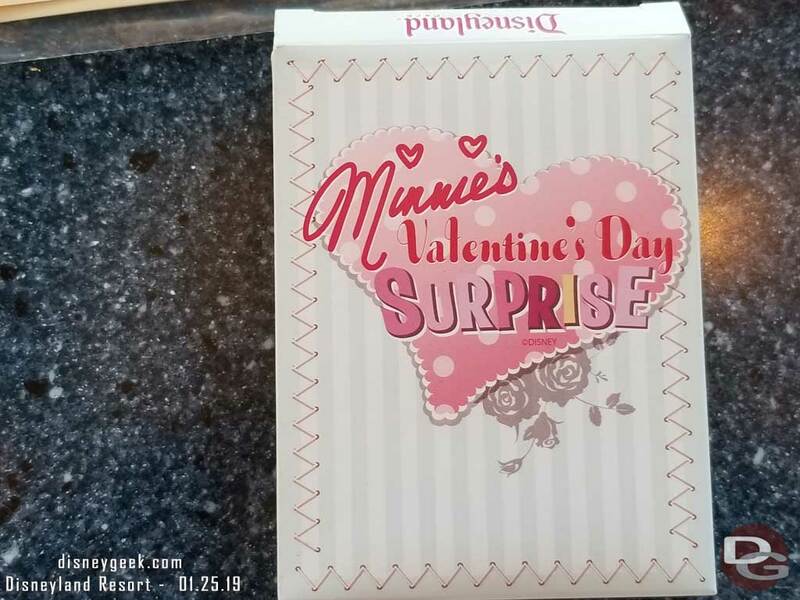 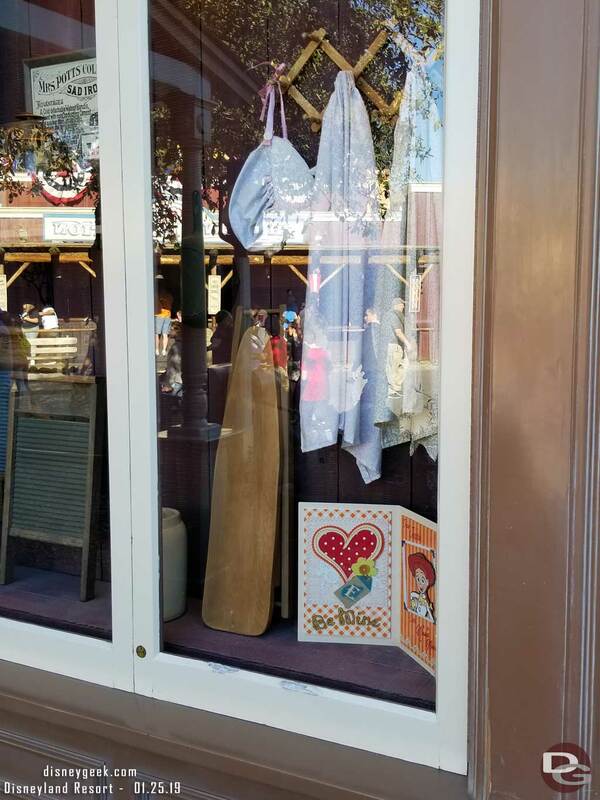 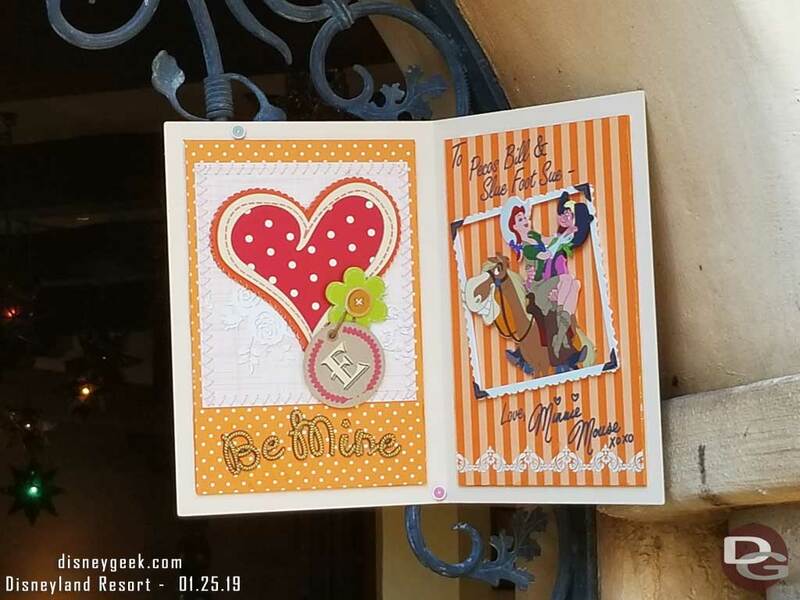 Minnie’s Valentine’s Day Surprise Scavenger Hunt Experience started last week and runs through February 18, 2019 at Disneyland. 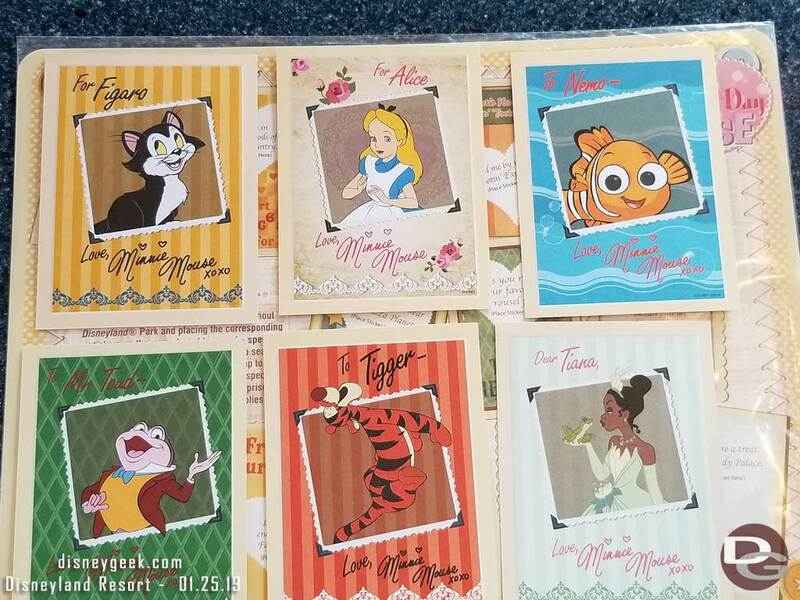 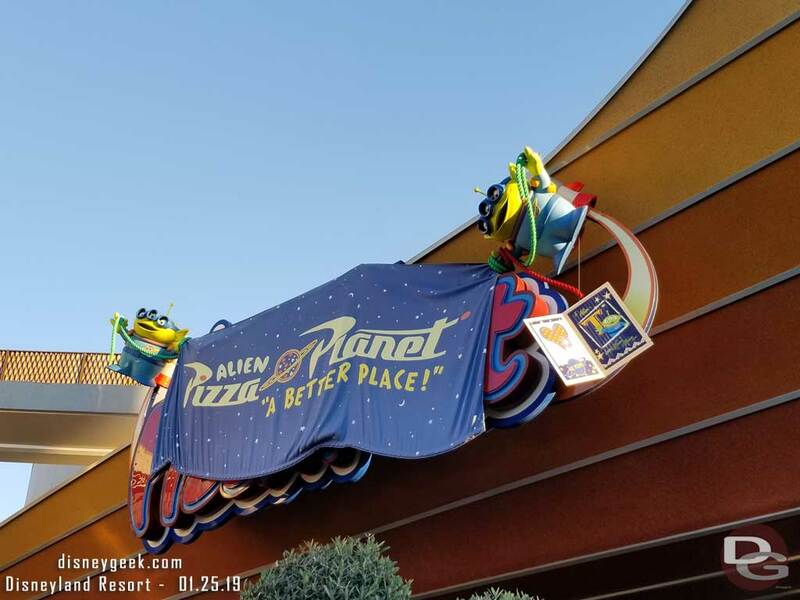 You purchase a game board and sticker set for $6.99 plus tax at Bonanza Outfiters, The Briar Patch, Disney Showcase, Disneyana, Emporium, Little Green Men Store Command, or Pieces of Eight. 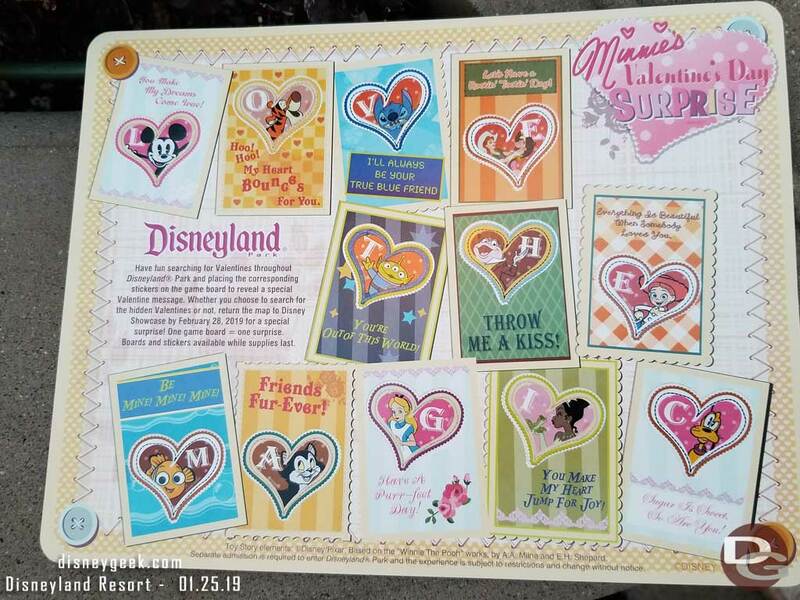 You then set off into the park with your map to find the twelve secrete valentines hidden around the park based on the clues on the game board. 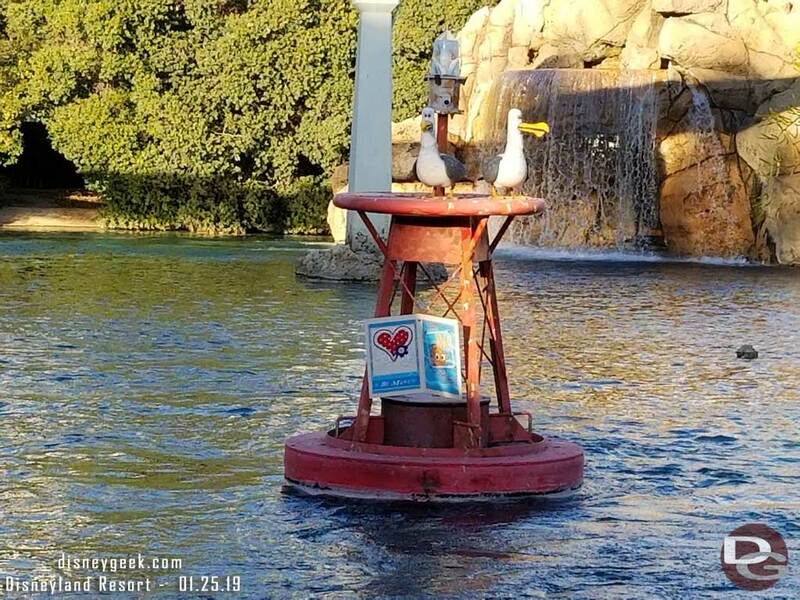 Once you find it you put the corresponding sticker on your map and it will spell out a message. 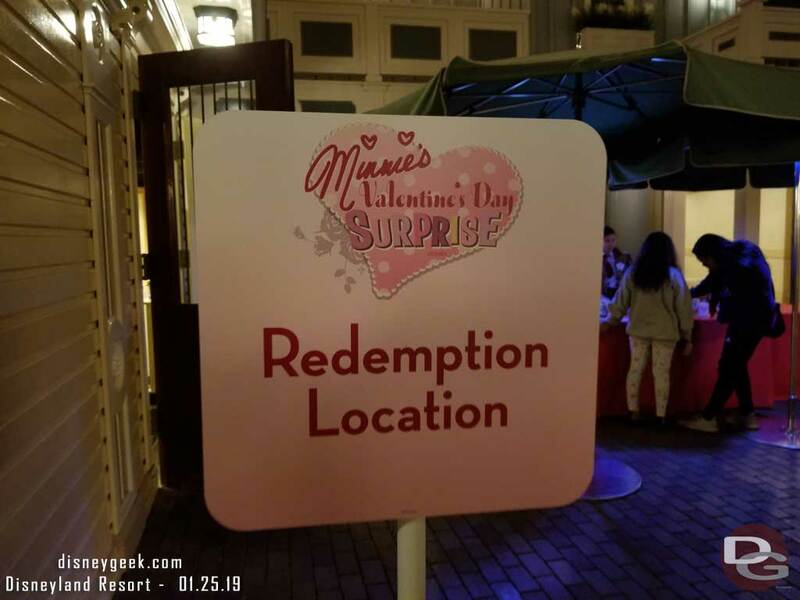 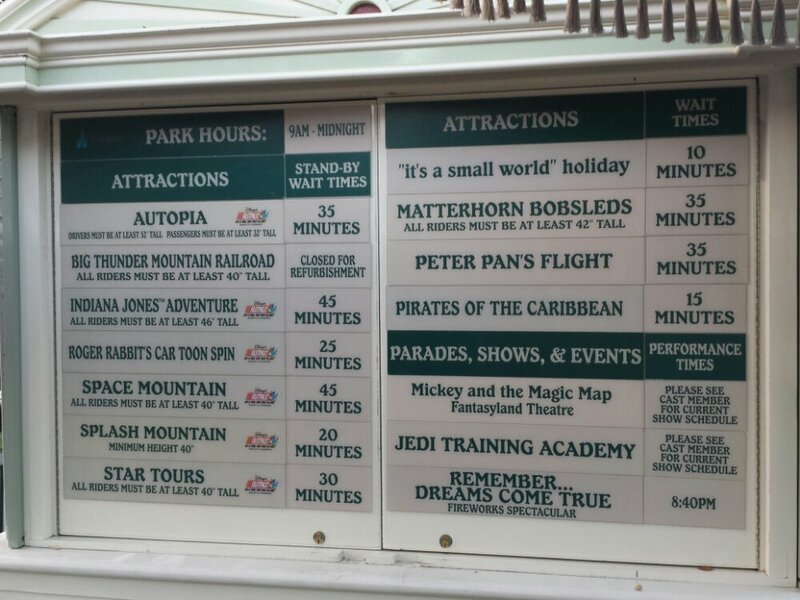 You can then take your completed map to the redemption center next to the Disney Showcase on Main Street USA and pick up your prize. 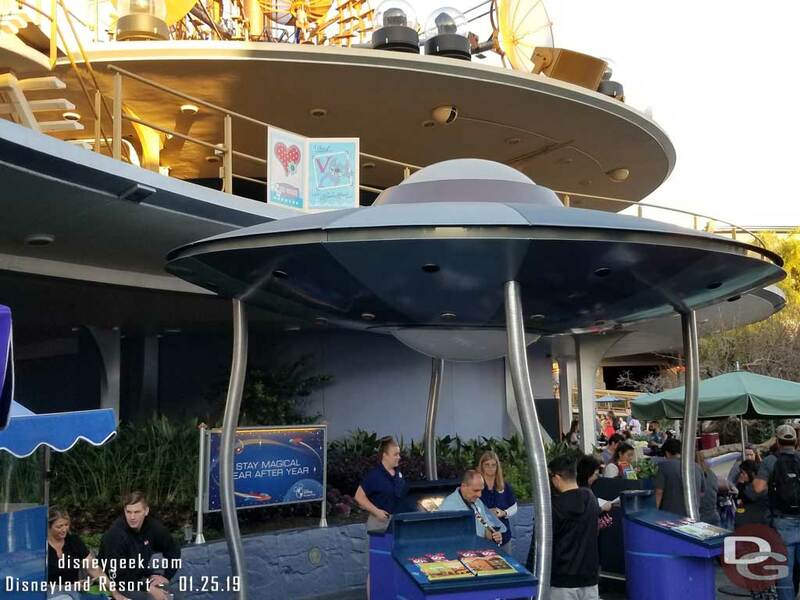 (Note like previous games you can claim your prize at any point). 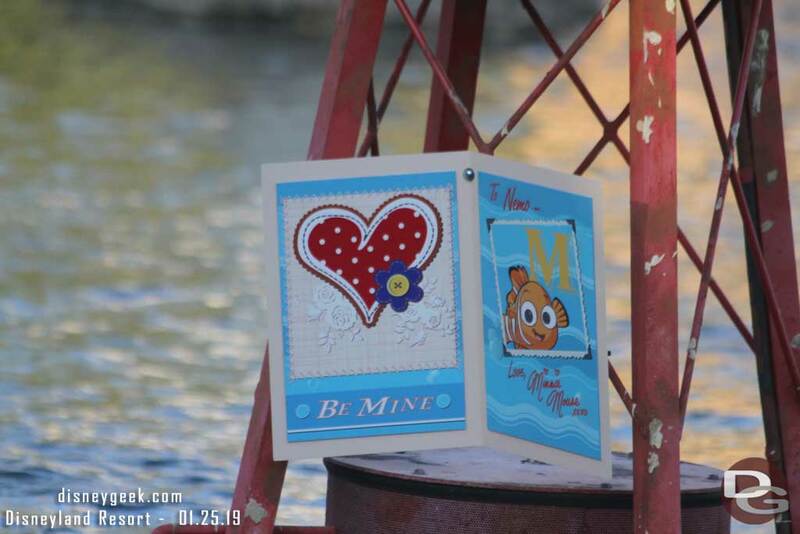 The prize is one pack of six valentines, there are two different packs to choose from. 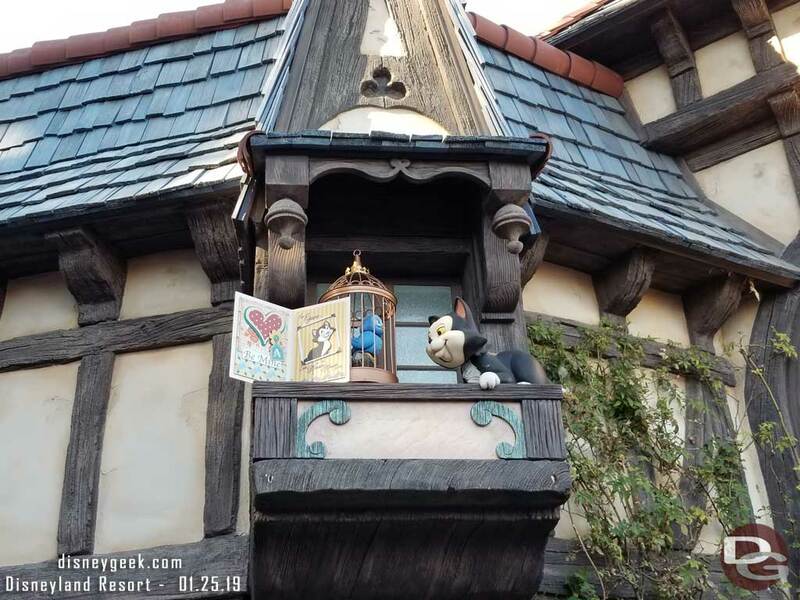 Below are pictures and hints/location of each, so if you plan to play you may want to not scroll any further.